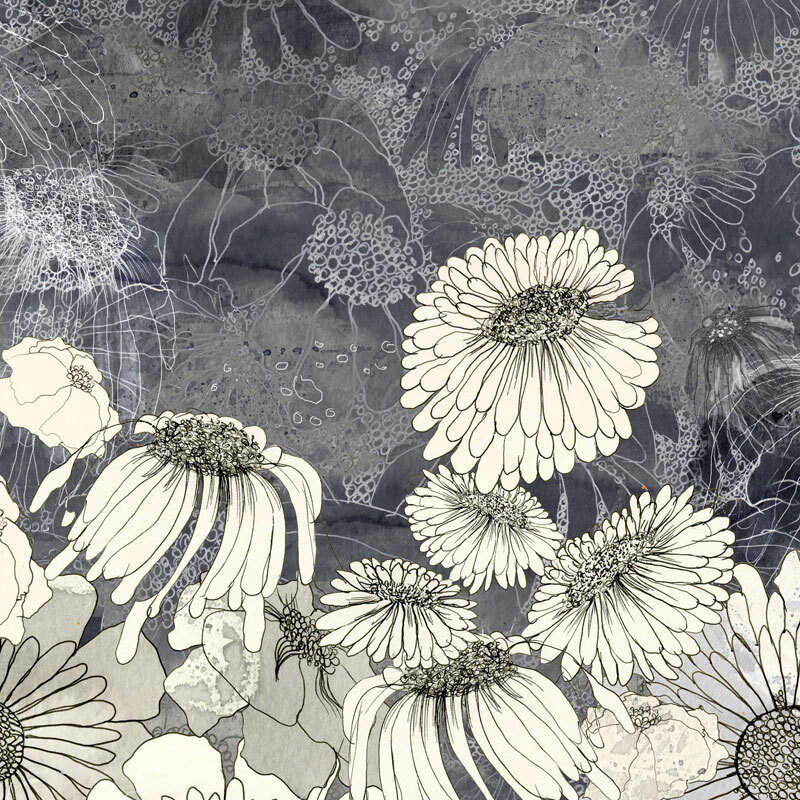 Another floral illustration – ink drawing and digital painting printed on Somerset velvet watercolor paper. The illustration technique-line drawing combined with a wide range of gray tones reminds me of etching in printmaking. Available in my shop as a giclee print.